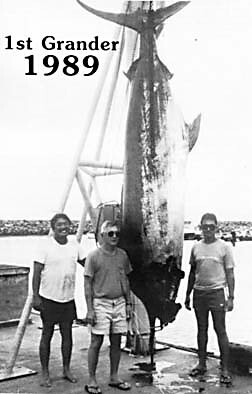 Waianae's first grander of 1989 was this monster blue caught with Capt. Kendrick Ching on the PATTI ANN. Ross and Charlie fought the fish with a 14/0 Penn Senator reel and 150-lb test line after it ate a 3-lb aku they were using for bait.